My son loves to get double chocolate muffins for breakfast whenever we go to the Hampton Inn. When I saw this recipe, I was a bit skeptical because it is hard to make things from scratch with cocoa that taste really good. 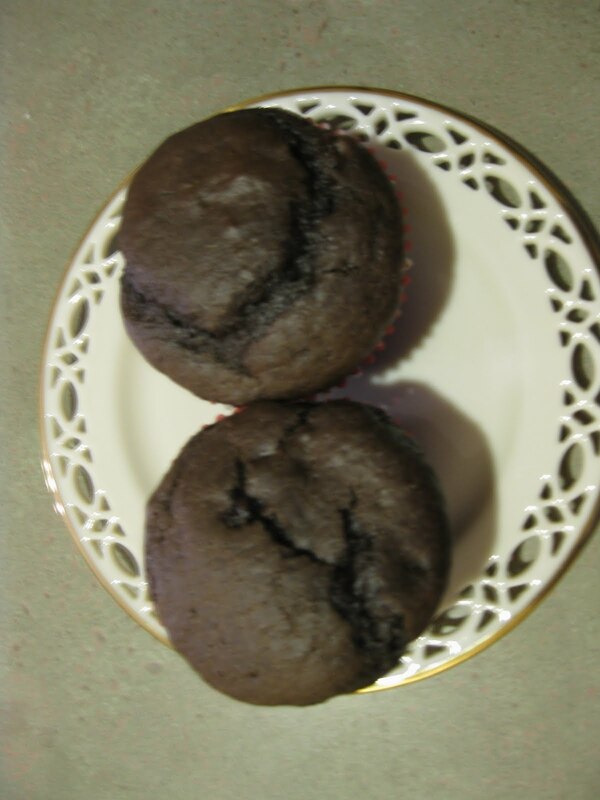 The only reason I tried them was to see how good they really were since my son is such a fan of double chocolate muffins. Well, they are fantastic. I have nothing more to say. They went beyond my expectations and it was hard to stop after eating two. I can't wait to make them at Christmas time for Nathan. I will have to pass this recipe on to our relatives so they can enjoy them too!